When it comes to maintaining our expensive clothes, we usually do everything in our power to make sure they stay perfect. After all, we don’t spend hundreds of dollars on something to only wear it once! No matter how hard we try to save our favorite, priceless clothes from evil eyes, we can never be sure of one risk. Which are, grease stains! 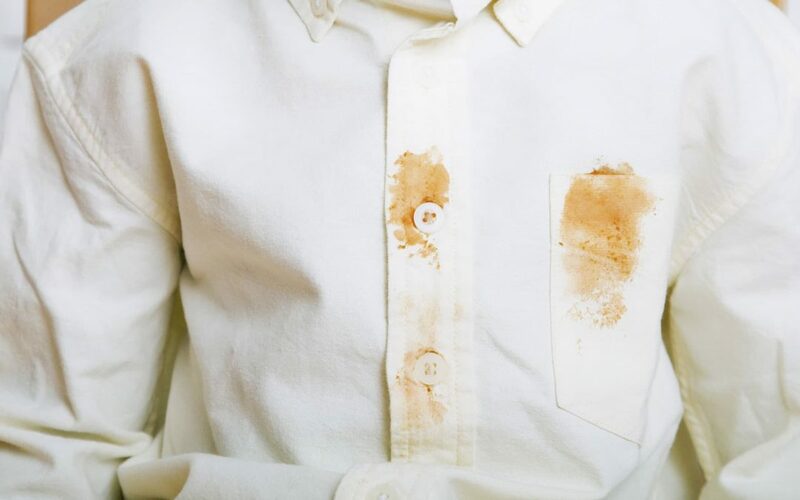 The problem with grease stains is that they cannot be removed using the usual techniques we use to get rid of other stains. And grease is something we’re exposed to whenever we go out, regardless of wherever we might be going. Even if you’re just getting ready at home, grease from some machine or door can come on to your cloth somehow. Hence, many people discard clothes whenever it gets a grease stain. But, isn’t that just wasting a lot of money? Isn’t it better to try and remove the stain instead? Luckily, we have several methods up our sleeves that can help you get rid of pesky grease stains! Not only are these extremely effective, but they are very simple too. The things needed are very easily available so you don’t have to worry about not being able to find them. The first option: dish detergent! Think about it. If your dish detergent can cut through the sticky grease and oil on your dishes, then it should be able to cut through the grease on fabric as well. In our experiences, we have seen that dish detergent does not cause any extra damage either. To be on the safe side, you should first try the detergent on an area of your cloth which is not too visible or focused in public, such as the back of your shirt. If you see any discoloration, do not continue (even though we’re pretty sure it’s perfectly safe). It is better to choose petroleum-based liquid detergent as we have seen that these work the best. Even though “natural” or “eco-friendly” detergents are always encouraged to be used, they do not work very well when it comes to removing grease stains from fabrics. In our opinion, this trick has proved to be immensely effective and definitely one of the easiest ones we have ever discovered. Not only does it work on recent or new stains, but it works equally well on old dried-in stains. If you want to give it a try, read on! Dissolve the grease using the detergent. Pour a few drops of it on top of the stain directly. Rub the detergent softly or a bit roughly (depending on how old, big and adamant the stain is. But be careful not to rub too harshly as you might end up making a tear. Let the area saturate with soap and allow it to set in for some minutes. When you think the detergent has done its job, wash the cloth according to the instructions given on its tag. The second option: Baby powder! As weird as this might sound, baby powder actually works quite well in removing grease stains. Don’t worry, we are not crazy lunatics who are suggesting you try this without knowing about it. We have genuinely tried it and found it works! The reason it’s quite effective is that it fills in the crevices between the individual fibres which allow it to take in the grease. However, it works best in new stains as you need to apply the powder as soon as you can. Leave it to settle for about 10 to 15 minutes so that it can absorb the grease. Brush the powder off and check whether the stain is still faintly visible. If it is, toss it into your washing machine and run it in cold water. When you dry it off, no stain should remain!